The Teutons are great defensively. Their castles and towers fire more arrows and causes more damage. 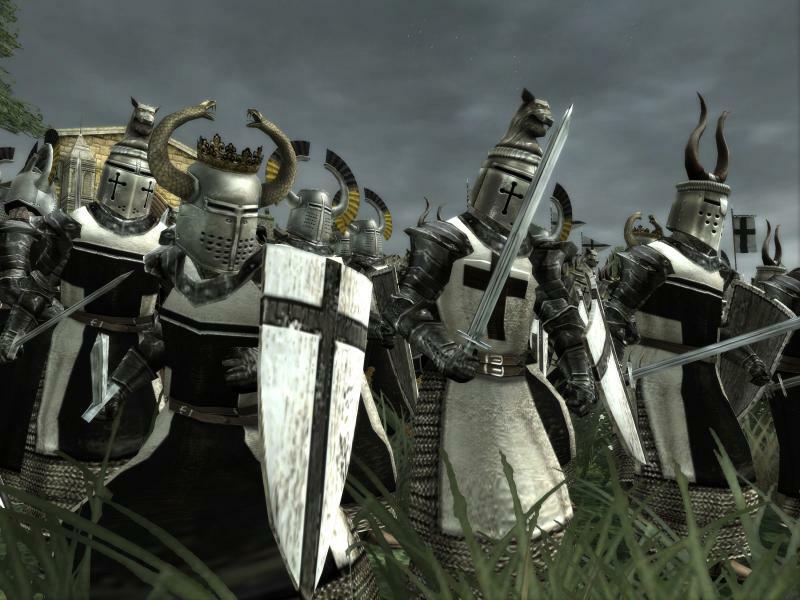 On offense, they have the slow but powerful Teutonic knights. Only the Jaguar Warrior can got head to head with a Teutonic knight. Their weakness lies in the rest of their offense. Weak cavalry, weak archers, weak siege weapons. In addition, Teuton knights are vulnerable to monks and cavalry archers. Playing this team requires defense and patience. Allow you opponents to lose their units attacking you and then counter with a barrage of Teutonic knights. They are extremely durable and can last awhile. Known as the Order of Brothers of the German House of Saint Mary in Jerusalem, the Teutonic Knights fought in the crusades. They invaded Muslim lands and laid siege to Jerusalem. They wore a heavy plated armor, a decorated helmet , and a cross on their chest. They were extremely hard to kill due to the heavy armor. The origin of Germany traces back to the crowning of Charlemagne as Holy Roman Emperor in 800. Upon his death the empire was split into three parts that gradually coalesced into two: the western Frankish kingdom that became France and the eastern kingdom that became Germany. The title of Holy Roman Emperor remained in Charlemagne’s family until the tenth century when they died out. In 919 Henry, Duke of Saxony, was elected king of Germany by his fellow dukes. His son Otto became emperor in 962.